Looking for a cozy single story condo with a lake view nestled in a gated community off Burbank with the privacy & amenities of a house, but the low maintenance exterior of a condominium. Professional landscaping provides curb appeal throughout this community. Enter the home to appreciate the neutral color scheme of the large dining area that flows into the kitchen, storage pantry, and the kitchens center island that accommodates both serving and storage needs. Adjacent home office area and laundry room are a plus! Living area boasts 9 foot ceilings and a cozy corner gas fireplace, with views of the covered outdoor patio. The private master suite is located in the rear portion of the home with an ensuite bath supplying a double vanity, large soaking tub, separate walk-in shower, and a nice walk-in closet. 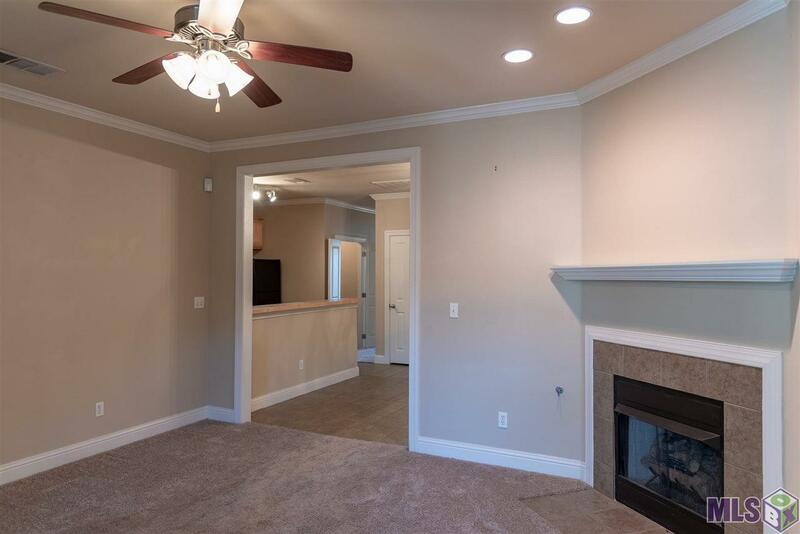 Two additional bedrooms are located in the front portion of the home and share a hall bath. 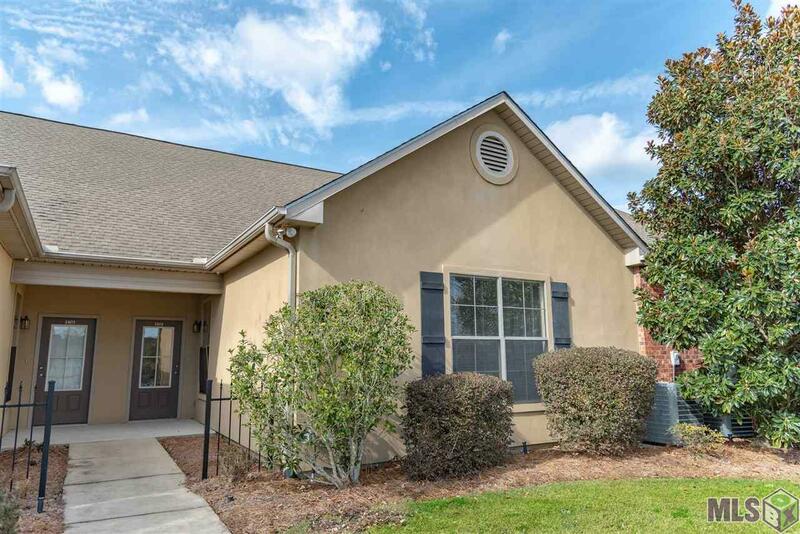 Outside the back door is the area that includes 2 car garage and private fenced in patio area for this unit. 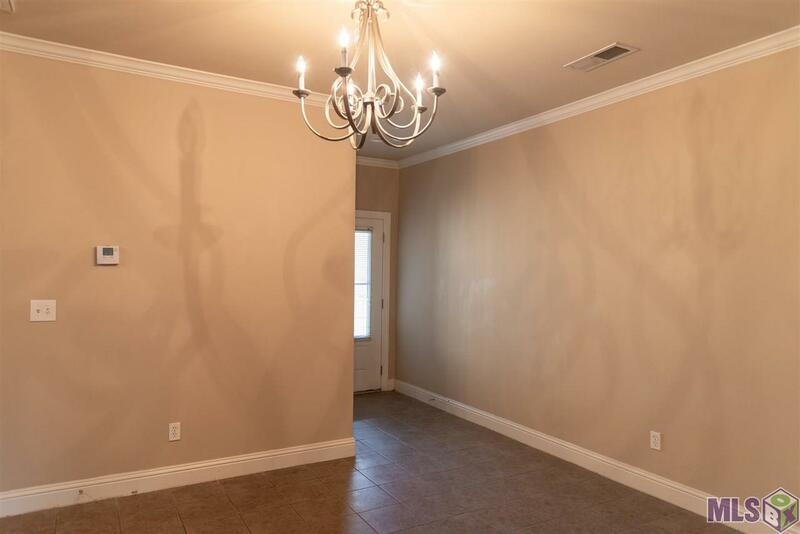 Other notes: active wired for security system, Homeowners Association, lake view with sidewalks to provide a scenic stroll, underground utilities, convenient to LSU, downtown, mall, area hospitals, and a huge variety of shops and restaurants. All exterior maintenance, grounds maintenance, the gate management, management fees, & etc included in the homeowners association dues. 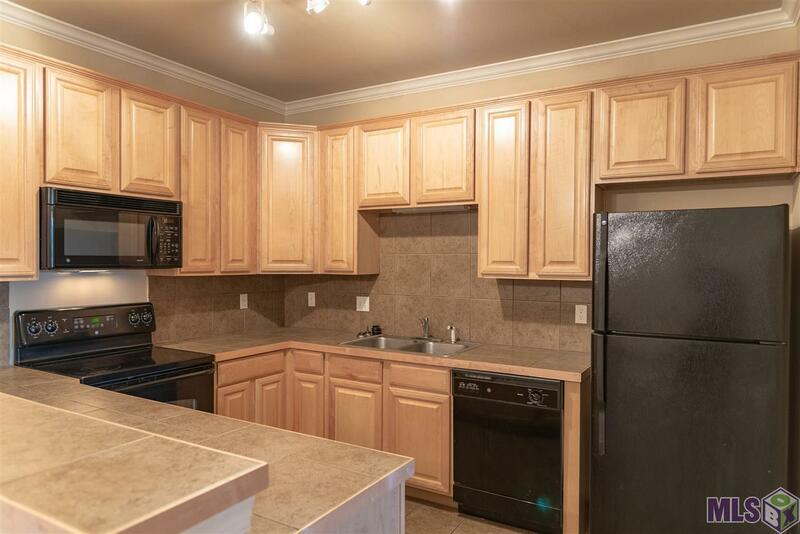 Come see this 3 bedroom 2 full bath unit tucked in the gated community today.